Country Club Historic Neighborhood (CCHN) was developed in the early 1900s in conjunction with the Denver Country Club and was designated as a Historic Landmark District in 1990. We are roughly bounded by Downing St. on the west, University Blvd to the east, 1st Avenue to the south, and both 4th and 6th Avenues to the north. Our Neighborhood Association was created in 1973 and, although membership is voluntary, each year around 300 (of the total 375) homeowners join our association. Our board of directors consists of 21 volunteers from the neighborhood. Please join CCHN today and help support our neighborhood! Country Club Historic Neighborhood, as the name suggests, was developed in conjunction with the Denver Country Club, which is located to the south of the neighborhood, across First Avenue. Generally, the layout of the streets and lots in the district is far more generous than the typical grid. It is the combination of different streetscape configurations combined with a range of early 20th century architectural styles that create the unique character of our neighborhood. In the first years of this century, a group of wealthy men who had organized the Overland Park Club changed the name to the Denver Country Club and began looking for a new site. 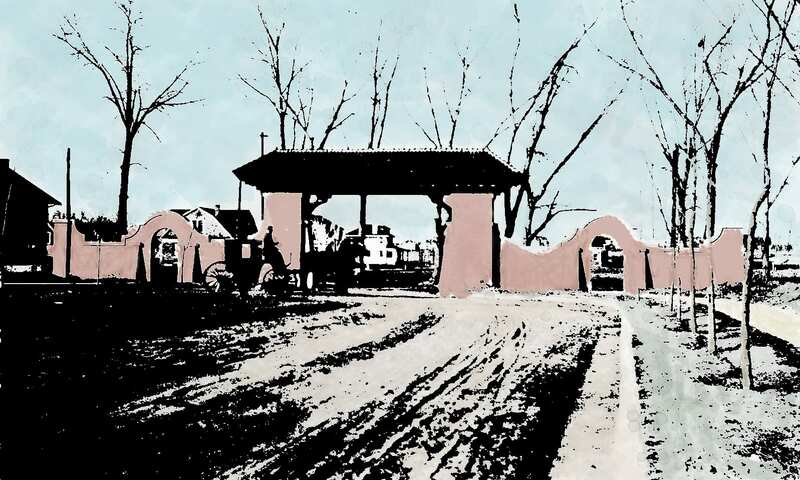 In 1902, sale of 120 acres along Cherry Creek was made to the club, and the same day this group incorporated the Fourth Avenue Realty Company and purchased the land to the north which was to be developed for housing. Dates of the various additions that make up the Country Club Historic Neighborhood are indicative of the pace of development. Park Club Place was filed in two portions, the first in 1905 (East of Downing to Humboldt and North from Speer to Fourth Ave) and the second in 1907. Country Club Place (East of Humboldt to High and North from Speer to Fourth Ave) was filed in 1906. Country Club Annex, the area east of Country Club Place was amended between 1924 and 1927 (East of High to Gaylord and North from Speer to Fourth Ave). Park Lane Square, the area to the north of Fourth Avenue (roughly from East of High to University and North to Sixth Ave) was filed in 1926. The Fourth Avenue Realty Company chose William E. Fisher as its principal designer. Fisher designed landscaped parkways (the picture to the left is an example) as the defining elements of the area, basing the design on concepts espoused by Frederick Law Olmstead. Fisher also designed the Mediteranean gateways (similar to our logo at the top of the page) along Fourth Avenue, setting the tone for the other subdivisions included in the district. 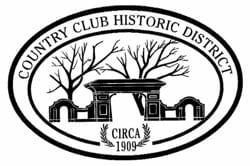 Recognition of Country Club’s significance was first made in 1979 when the western half of the district was listed in the National Register of Historic Places. 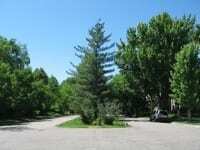 The Country Club Historic District was designated as a Landmark District by the City of Denver in 1990. The L-shaped district includes 380 residences and was found to qualify as a Landmark District because of its historical, architectural, and geographical significance. Historical significance relates to its association with Denver’s social, political, and economic elite, including figures such as Mayor Robert Speer, founders of most of Denver’s major banks, and heads of some of Denver’s major mining, oil, sugar, and real estate companies. It also is representative of exclusive residential development of the time. The district incorporates some of Denver’s finest examples of the Denver Square style and the Gothic, Colonial, Mediterranean, and other early 20th century eclectic revival styles. Furthermore, many of these houses were designed by Denver’s most prominent architects including Fisher and Fisher, Benedict, Biscoe, Gove and Walsh, and Varian and Sterner. This history was exerpted from the “Design Guidelines for Country Club Historic District” document which was published in 1995 by the Denver Landmark Preservation Commission & Planning and Development Office.